Ben Wilson pushes a colony to the edge and beyond in the next game from the creators of This War of Mine. You’re never really alright in Frostpunk. You’re always missing something necessary for survival – there’s not enough food or there’s too many sick and people are revolting – yet you somehow get by. You think, wish, and make plans for everything you need to make your citizens comfortable in the icy waste, only for tomorrow to bring new problems you can’t keep up with either. I thought of Snowpiercer when I heard what 11 bit studios was making. The world’s frozen over, and most everyone is dead. But while that Chris Evans movie used a train’s linear segmentation to explore classism, Frostpunk is about the struggle of surviving without having what you need. The DNA of 11 bit’s This War of Mine is present here too, in the game’s gloomy demeanour and intrinsic morality. 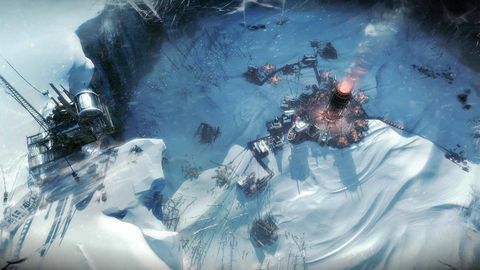 However, Frostpunk isn’t a four-person survival horror, but a survival-RTS. Your society steadily grows circularly around a heat tower, which you need to prioritise above all. To keep your city heated you need coal, to gather coal you need people, and people need somewhere to live, and also food and medicine. Gathering these requires people too, and there’s only so many still alive. If you want more you have to trek out and find them, but then you’ll need more shelters and more food, and you’ll probably want to extend your infirmary facilities as well. If this were an easy game, you could keep building to expand your economy, but your generator’s warmth will only reach so far. There’s no reason you can’t build outside the heat zone, but all those people living and working there will get cold, cold people get sick, sick people need doctors, doctors get overworked, overworked people start complaining, and then your popularity falls. Failing to keep people adequately pleased will mean your exile. So you’ve got to expand your heat zone without taking on more than you can handle, but be quick enough to compete with falling temperatures. You aren’t allowed to stay cosy and exclusive – growth is central to continuing. You just have to account for the growing snowball of factors that follow. So Frostpunk is a desperate network of cause-and-effect. Your scouts find more survivors – people you need to work the mines to endure the coming blizzard – but they can’t come yet, because there’s no more room in the heat zone, and your generator isn’t ready because you don’t have the resources to upgrade. You could reassign people from the mines, but if you take any of them away, you won’t have enough heat to get through the night. So those people you find… you have to let them die. You’re constantly under demands you can barely meet. People want things you can’t give them because you’re trying to address more important matters. Your citizens want more beds for the sick, but you know the real problem is inadequate heating. You wish you could show them the larger picture, though Frostpunk is unfortunately realistic that way. People aren’t really interested in your plans, they’re more concerned with the immediacy of their needs. Morality is supposedly a big part the game, but I found that to be only partly true. Despite constantly juggling decisions and lives, I felt never burdened by my choices the way I was in This War of Mine. Feeling attached to your charges is difficult because you are managing them impersonally from the sky and not down from the ground. My empathy was turned elsewhere – towards myself actually, and towards people who do this for us. More than anything, Frostpunk is about the hardships of ruling. You’ll be blamed, doubted, and maybe even shunned for not providing what your circumstances won’t let you have. This is one for the long haul. At first glance it appears there are just three scenarios, but after struggling with your first few hours, will you realise how thick the ice is. Like the people you’re caring for, you’ll have to hunker down and get cosy. Sometimes games don’t entirely achieve the goals they want. 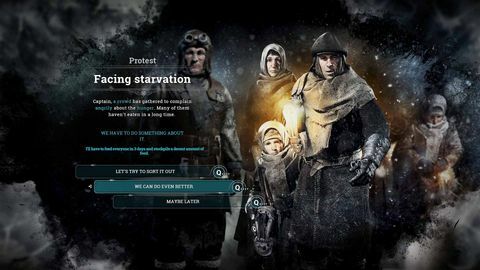 Frostpunk may be one such example. It’s supposed to be about morality and understanding what people need – and it is – but I found those things eclipsed by an even more refreshing empathy towards those in charge and the trials they face alone. Mechanics have messages, even if those messages aren’t deliberate. The interactive nature of games can make it difficult to predict what experience will surface when all the pieces come into play. 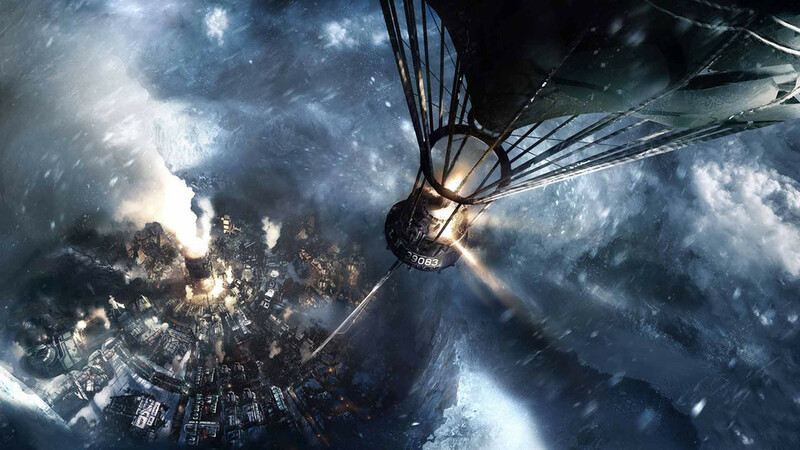 In Frostpunk’s case, what has come about is even more fulfilling than what was perhaps originally intended. Ups Uses stressful mechanics for an empathetic end. Gets you thinking strategically about infrastructure, people, and development. Downs It’s difficult to relate to your people when you’re literally not on their level. Not a game for people who don’t like starting over a few times to get the ropes.